With the recent headlines about the sudden drops and gains in the stock market, we felt it would be a good time for us to shed some light on our approach to market volatility. While you may have gotten used to consistent portfolio gains over the past few years, it is important that you understand that market volatility is the norm. 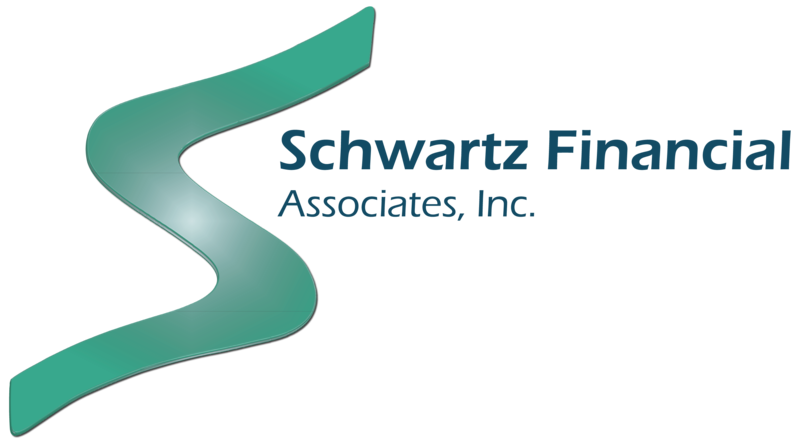 Here at Schwartz Financial, we have been anticipating market volatility and believe it is a normal and healthy part of market cycles. For illustration purposes, please reference the chart below that details the history of the Dow Jones Industrial Average. 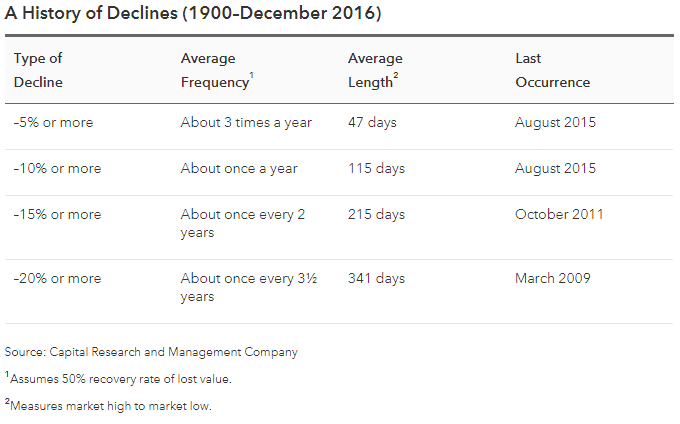 As you can see, temporary declines happen quite often. When you turn on CNBC and the headlines say something like “The Dow Jones Industrial Average has dropped 800 points today!” or “The S&P 500 is down X% this month!” it probably scares you right? That’s ok, it is supposed to scare you (let us not forget how television shows make money). The important point here is that the Dow Jones Industrial Average and the S&P 500 Index are NOT your portfolio. This is why we recommend our clients hold a wide range of assets such as domestic equities, foreign equities, and bonds depending on their individual circumstances. Sell Low and Buy High? It is common knowledge that buying things for a discount and selling them for a premium is a good idea right? Yet time and time again, investors may act irrationally and do the exact opposite. That is why having a strategy and a plan can help avoid this scenario. Please reference the graph below from JP Morgan that illustrates the difference between annualized market returns and average investor returns from 1996 to 2015. We often have conversations about the different ‘buckets of money’ and the job each bucket has to do. Investments (as opposed to savings) are generally in your intermediate or long term ‘bucket’. As you saw in the graph above, the average investor is often not thinking long term. This is why having a portfolio that suits your needs and having a process to follow when the market gets volatile is critical. Ask yourself or your financial advisor these questions to see if you are prepared to handle market volatility. Is my portfolio diversified or is it concentrated in one asset class (example: large US equities)? What is the time horizon of my portfolio? When will I have to start spending the money I am currently investing? If there are short term drops in my portfolio, will it negatively affect my lifestyle? Do You Have Questions About Your Portfolio? Did you have trouble answering some of those questions or have some other questions about your portfolio for our team? At your convenience, follow the link below to schedule a free 30 minute introductory phone call with one of our associates. Current clients are always welcome to call us at their convenience. We look forward to speaking with you soon! The views stated in this letter are not necessarily the opinion of Cetera Advisor Networks LLC and should not be construed directly or indirectly as an offer to buy or sell any securities mentioned herein. Due to volatility within the markets mentioned, opinions are subject to change with or without notice. Information is based on sources believed to be reliable; however, their accuracy or completeness cannot be guaranteed. Past performance does not guarantee future results. Investors cannot invest directly in indexes. The performance of any index is not indicative of the performance of any investment and does not take into account the effects of inflation and the fees and expenses associated with investing.